What room made you fall in love with your house? 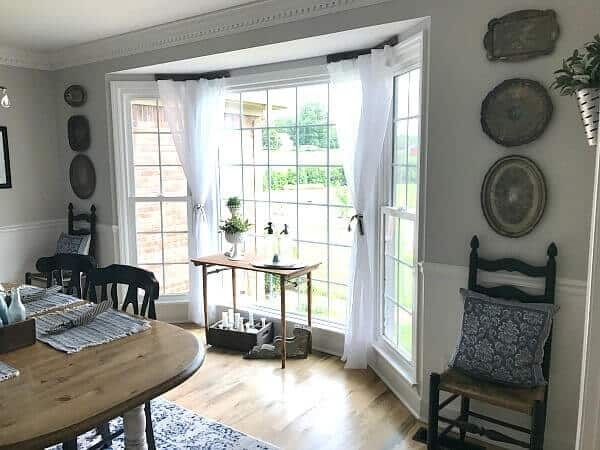 For me, it was the Dining Room – the view, the chandelier, the french doors. Y’all, I love my bay window. I mentioned my smit-ness for its stunning view in my budget friendly dining room makeover. After all, it was that view which finally sold me on buying this fixer-upper! To this day, I have never covered it up with curtains, shades, or furniture because being able to look out across a huge grassy field and watch deer and other wildlife pass unobstructed is a daily joy. But the space was screaming for some love and attention. I knew I just had to do something that keeps the view wide open but makes my bare bay window pretty to look at, not just through. 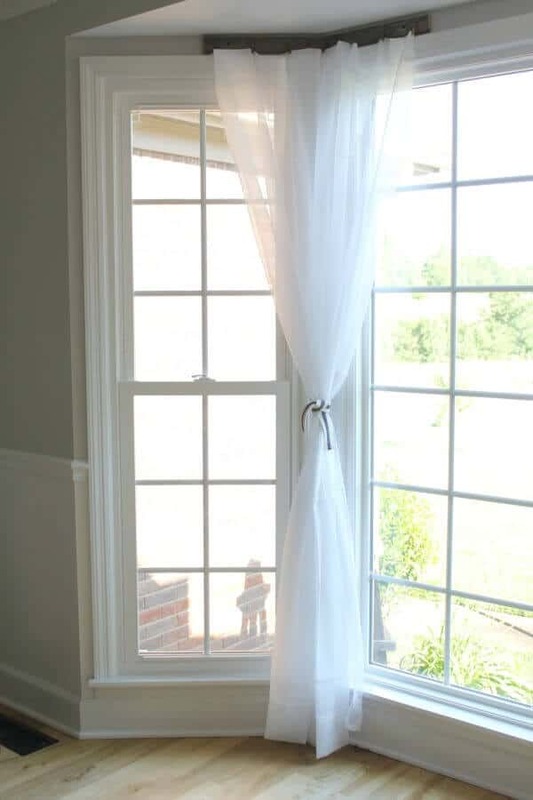 The problem was, with the smaller size of the side windows, there was no way to hang standard curtain rods and my life’s mission with this window is not to have curtains covering that view! That’s when I had a light-bulb moment! 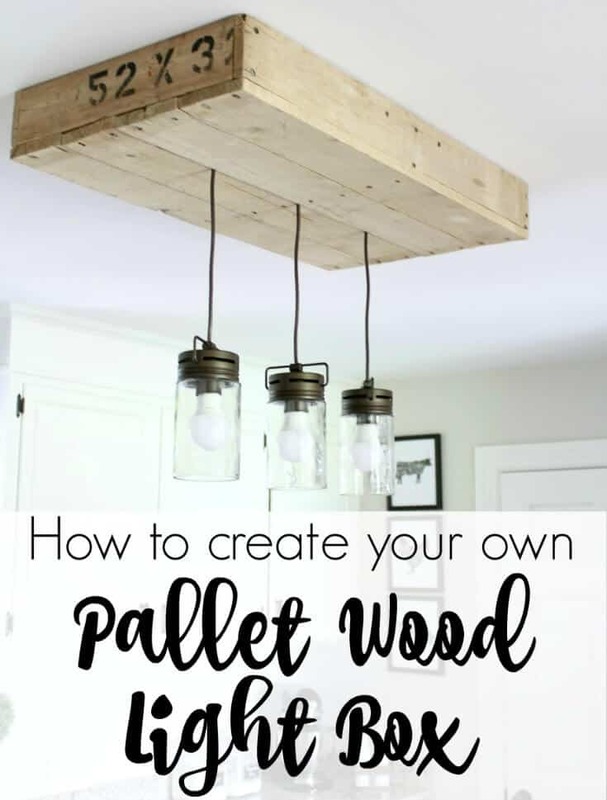 As you all know, I especially love pallet wood and let me tell you, I came up with a genius plan — Yep! That happens sometimes! 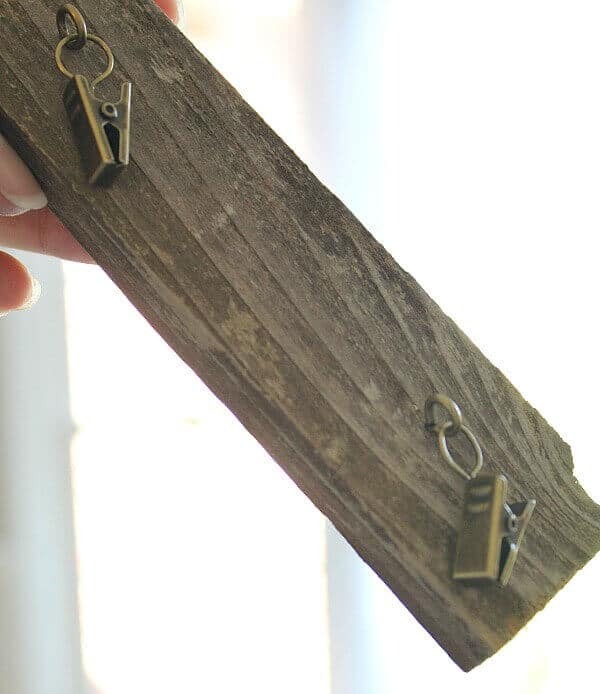 — to incorporate some scrap wood into the design. And y’all, it solved all my problems. Here’s how I did it in less than a 1/2 hour with pallet wood. Affiliates links are provided for your convenience at no cost to you. You can read my disclosure statement here. you can buy similar craft wood here. While on a recent jaunt to Hobby Lobby, I found a bundle of weathered craft wood. 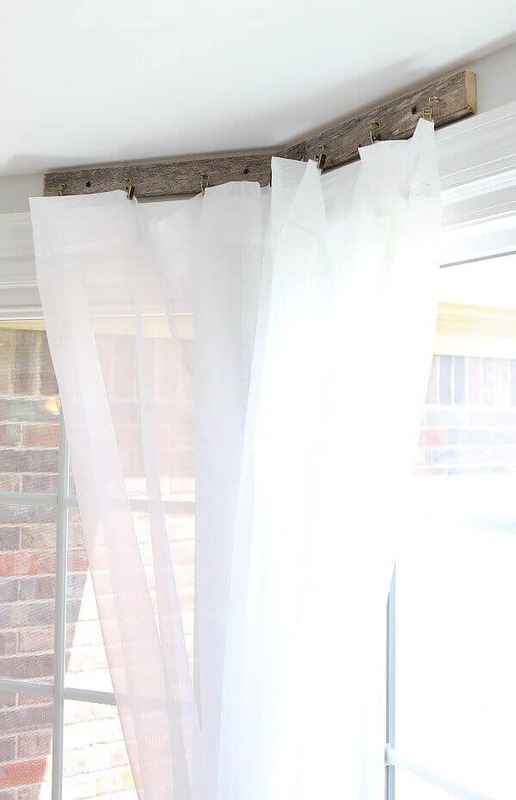 These were skinnier pieces that would be perfect for the small space above my bay window, but I wasn’t sure how I was going to hang the sheers. 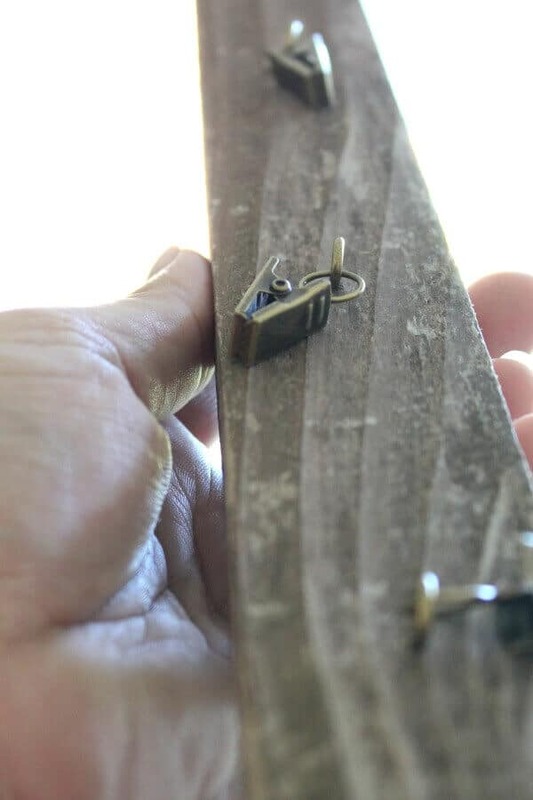 Then it came to me: I had some old wooden curtain rings that had screw-in eyelets with hanging hooks. First, I disassembled the hooks from the rings leaving the screw-in eyelets in place like the picture below. I marked each craft wood piece, spaced about 4 inches apart for the eyelet screws. Then I predrilled pilot holes and screwed in the eyelet hooks. For each side, I used two pieces of craft wood with seven of the eyelet hooks. 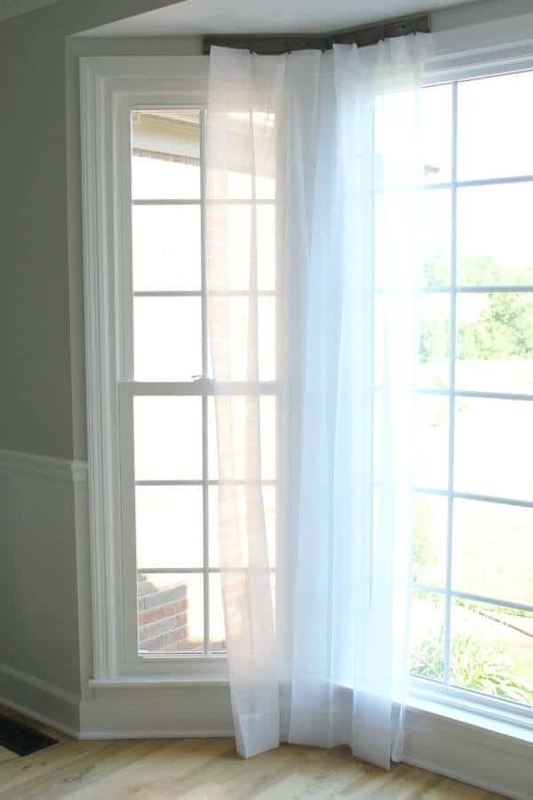 Next, I screwed the two pieces into each corner of the bay window and clipped the sheers. That’s it! Isn’t that so easy? I didn’t make miter cuts to the wood. In fact, I didn’t make any cuts at all. I butted the two wood pieces beside each other and it was a perfect fit. Done! The result is light and bright without too much obstruction of my beautiful view. 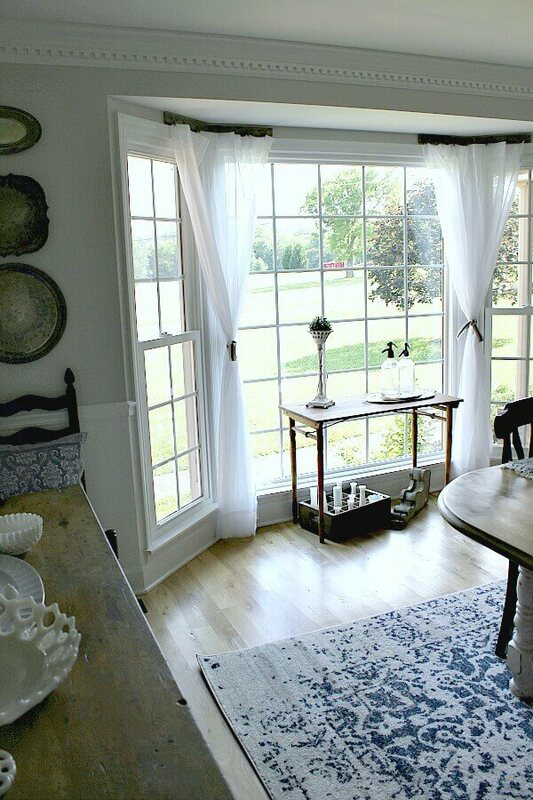 Since I added blue tones to my dining room makeover, I wanted to tie in the same color for my curtains. 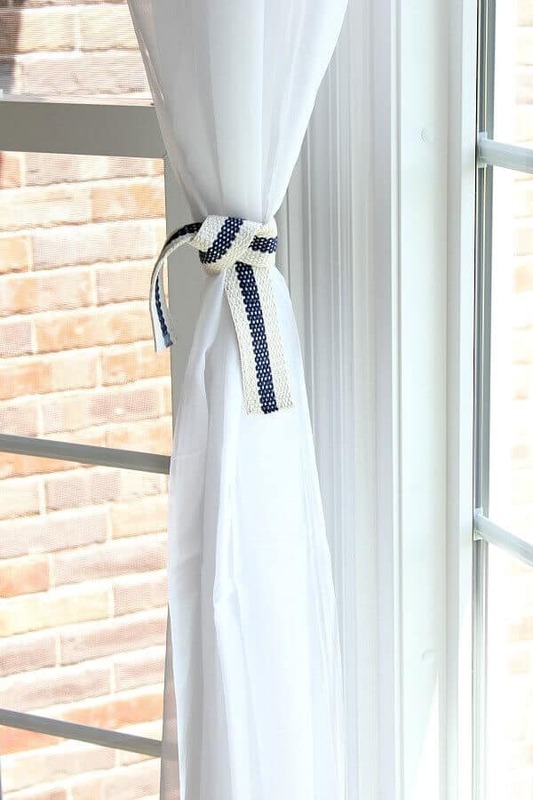 I found this blue and white striped trim in the upholstery department and used them as tie backs for the window. I love these pallet curtain rods so much, but I love even more how quick and easy the whole project was. Surprisingly, a simple stack of craft pallet wood and old hooks transformed my plain bay window into a soft and cozy feature! There’s still plenty of room to see outside, but now, it’s pretty to look at. 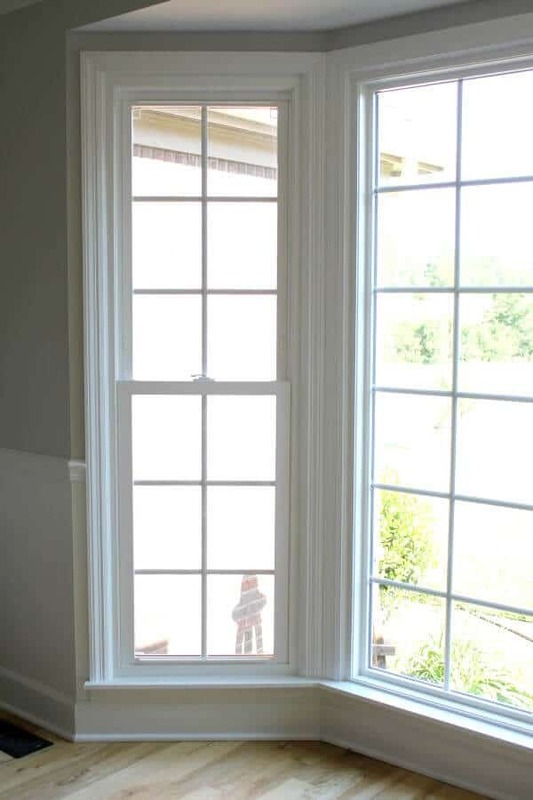 Do you have a window you’ve been trying to figure out a solution for? 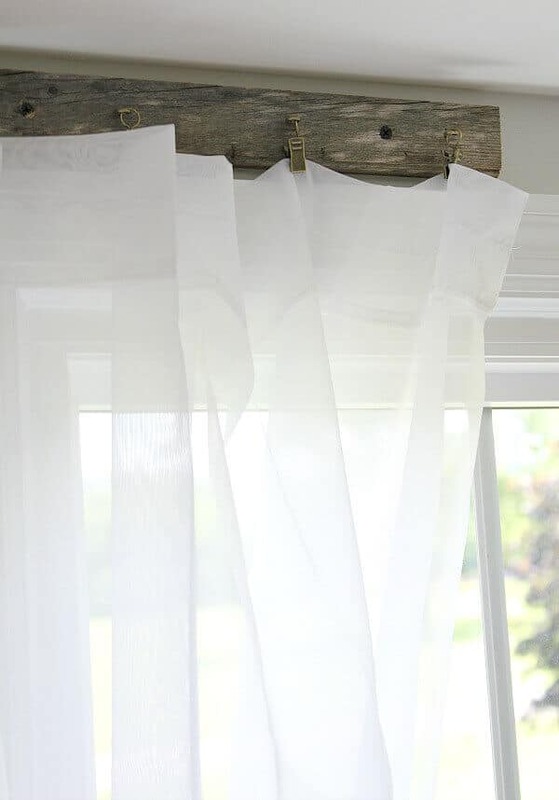 Let me know if this inspires you to make some pallet curtain rods of your own! 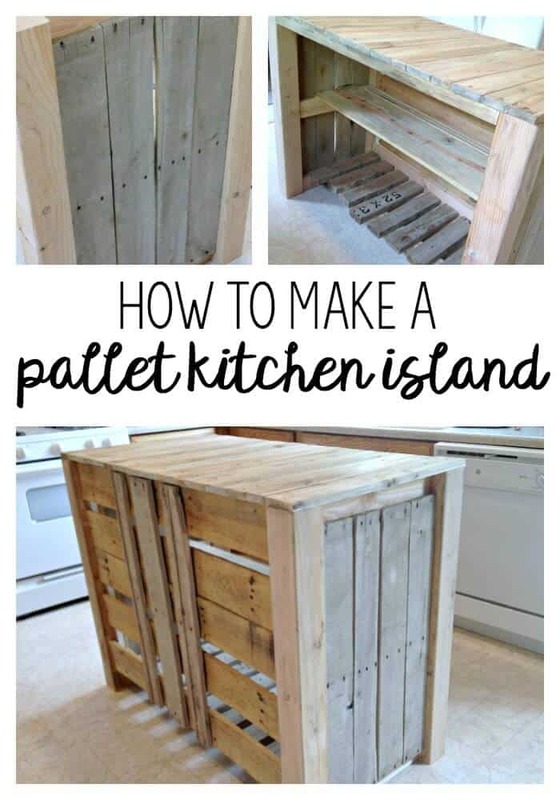 If you like this project, then you’ll love some of my other Pallet Projects. I share with these friends. Love those. They add just enough subtle decor without being too much. 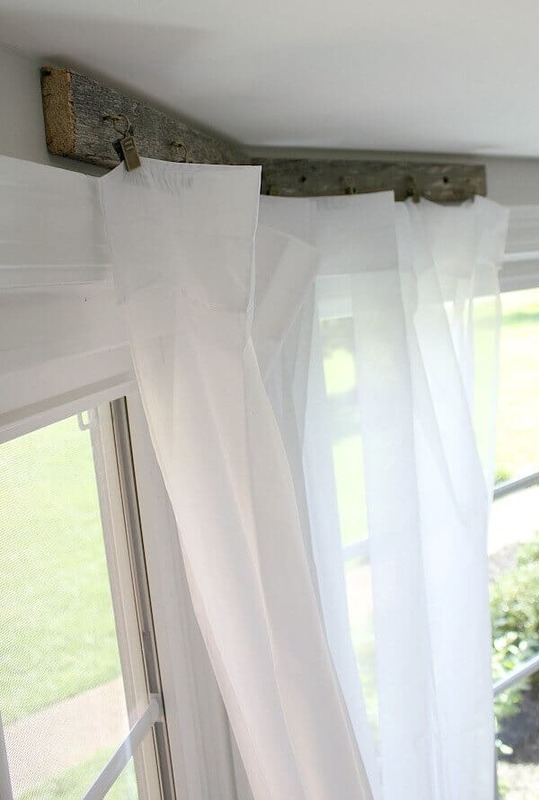 The pallet curtain rods are a great idea and they don’t look complicated to make. Thanks. I am so glad you like them! Thanks for taking the time to leave me a comment – I appreciate you stopping by! These look great! I’ve been looking at my bay windows for f 16 years and could not have thought of this, thank you! I’m so glad this inspired you! Thanks for taking the time to leave me your sweet comment! Wow!! Those are beautiful & look so elegant! My husband recently inherited a 40+ yr old house that his father had spent 10yrs starting to renovate and we are at a stand still on where to start and what to do! 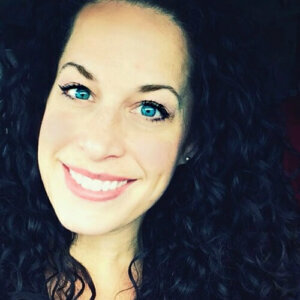 Thank you for sharing this because i think you helped me find a place to start! I am so glad this gave you some inspiration! Thanks for taking the time to comment! These are so simple yet beautiful! 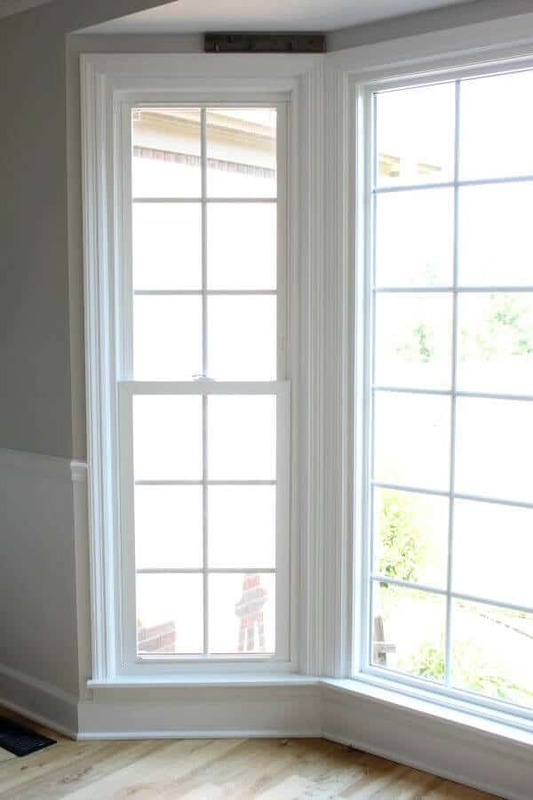 We have two 3 piece bay windows in our living room, and one 3 piece in each of the master bedroom and guest rooms…certainly using THIS idea for them all! Thank you! Sheila – you are so kind! I’m so glad this inspired you – send me a pic of how your project turns out! Nice! I’m really trying to embrace the reuse-renew-recycle methodology. AND – I totally envy your view! Your project was great. Kept the view yet gave a beautiful look to the bay window. Would never have thought of this. Enjoy and thanks for sharing your idea. 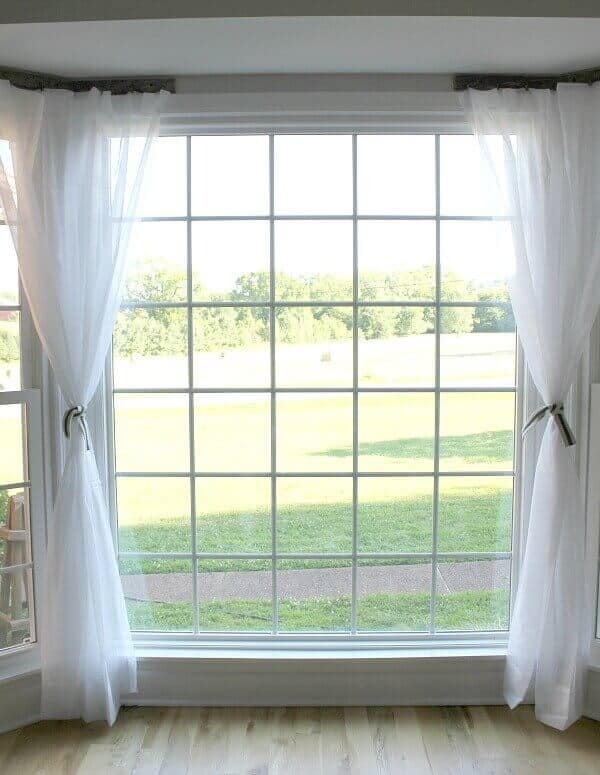 Not a fan of traditional curtains . This is great! Very creative solution to the problem, I love the look. 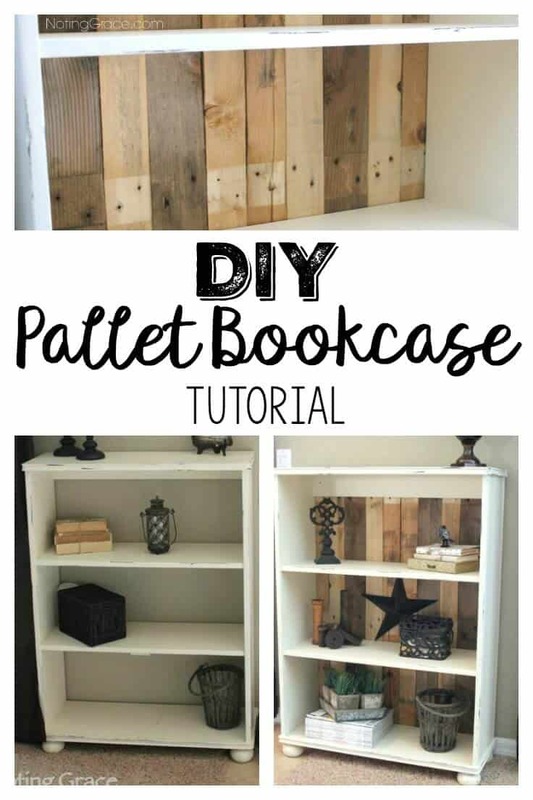 I am really interested in your pallet bookcase project. I want to make something like that out of pallet wood for my porch where we enter the house and hang our jackets, hats, etc. Would like to make a place to put some baskets for gloves, dog stuff, keys, etc. Thanks Nancy! I’m so glad my project inspired you! Lovely cute decor idea. Could you fill the rest of the space between window molding and ceiling with the same wood to make it look continuous? Thx for sharing, great job ! I LOVE THIS!! I’m thinking about doing the same to our living room windows. I hate the rods and the hassle that comes with it. 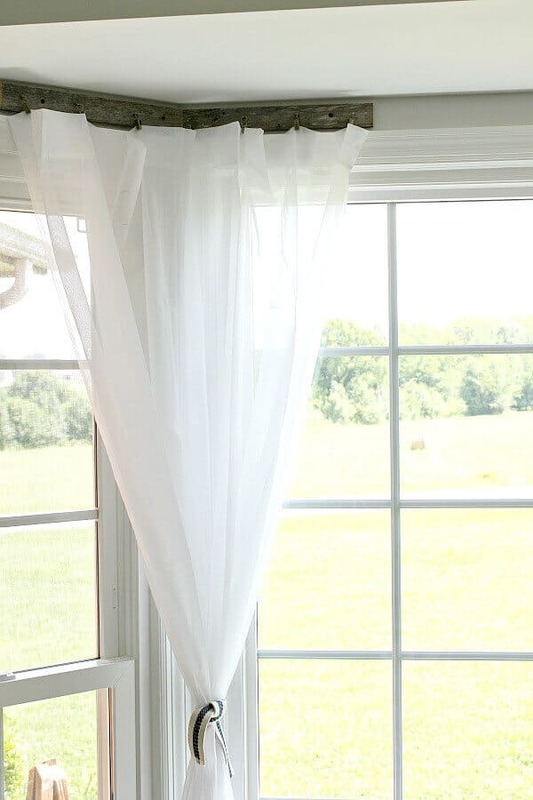 Is there anyway for this to work with heavier curtains? Not extremely heavy but not the sheers ones either. Thanks again! Great question Deja! The wood is attached to the wall, so that should be secure. 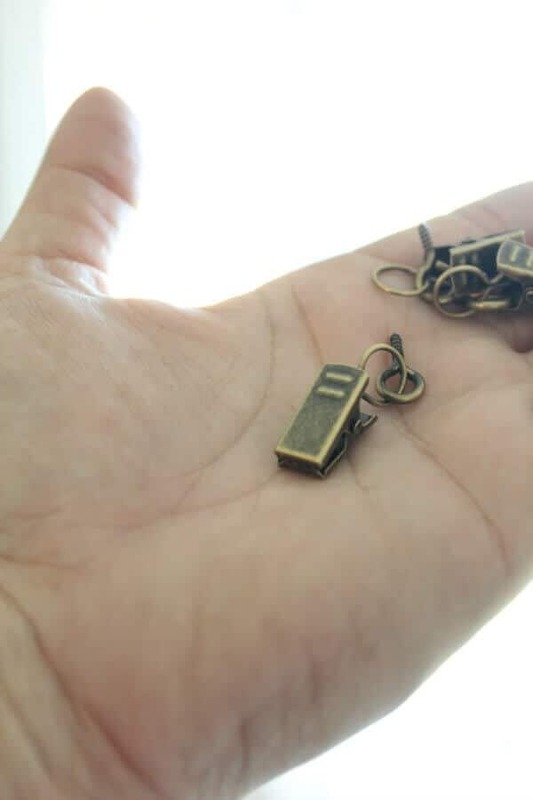 For heavier curtains, I would make sure the clips you use have a strong grip. Send me a pic if you decide to DIY this for your home!